In 1992 the IEASM, in cooperation with the Egyptian Supreme Council of Antiquities, began a research project to determine the ancient location and topography of the currently submerged ancient zones of the eastern harbour of Alexandria (Portus Magnus) and of today’s Aboukir Bay. The discovery of sites in these locations led to archaeological excavations that are still ongoing and which each year bring to light findings of considerable importance. What caused the submergence of the sites? 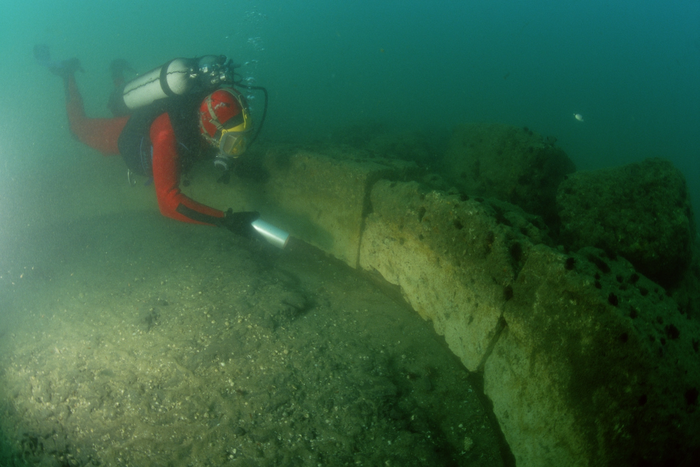 Research has shown that the sites (Alexandria's Portus Magnus and the cities of Thonis-Heracleion and Canopus in Aboukir Bay) were affected by geological and cataclysmic phenomena at different periods. It is now clear that a slow movement of subsidence of the soil affected this part of the south-eastern basin of the Mediterranean. The rise in sea level - already observed in antiquity - also contributed significantly to the submergence of the land. With the cooperation of the Smithsonian Institution of Washington and Stanford University, the IEASM made geological observations that brought these phenomena to light by discovering seismic effects in the underlying geology. 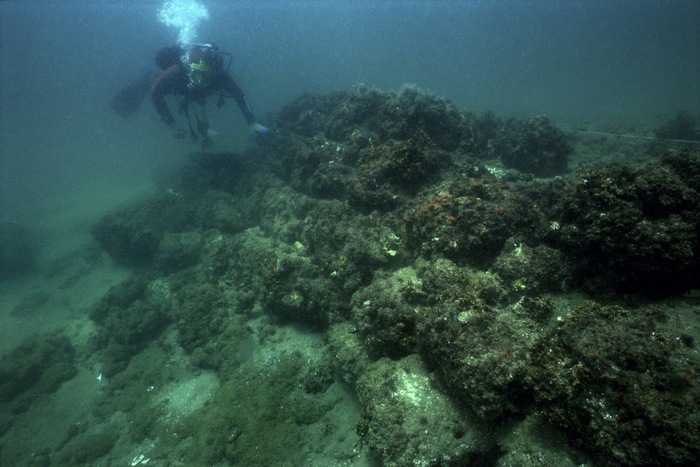 Geoarchaeological analysis of the sites also showed marks characteristic of the liquefaction of the soil at certain spots, primarily in Aboukir Bay. These localized phenomena can be triggered by the action of great pressure on soil with a high clay and water content. The pressure from large buildings, combined with an overload of weight due to an unusually high flood or a tidal wave, can dramatically compress the soil and force the expulsion of water contained within the structure of the clay. The clay quickly loses volume, which creates sudden subsidence. An earthquake can also cause such a phenomenon (ancient texts mention the disappearance of cities here through both earth tremors and tidal waves). These factors, whether occurring together or independently, may have caused significant destruction and explain the submergence of the Portus Magnus, Thonis-Heracleion and Canopus. 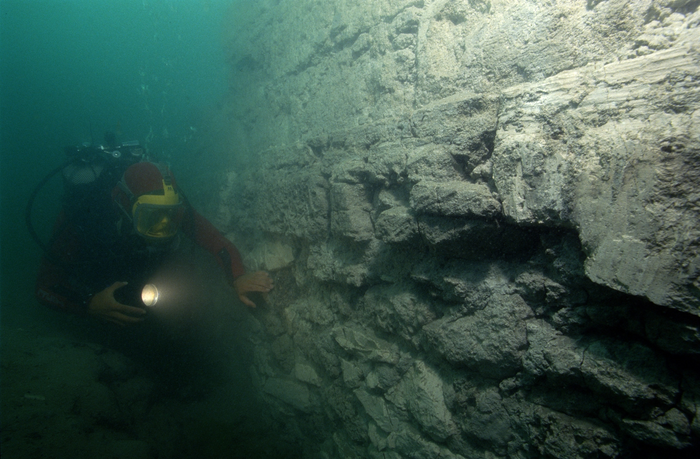 In the latter half of the 8th century many of the majestic and mundane buildings of the Portus Magnus had disappeared beneath the waters of the Mediterranean. 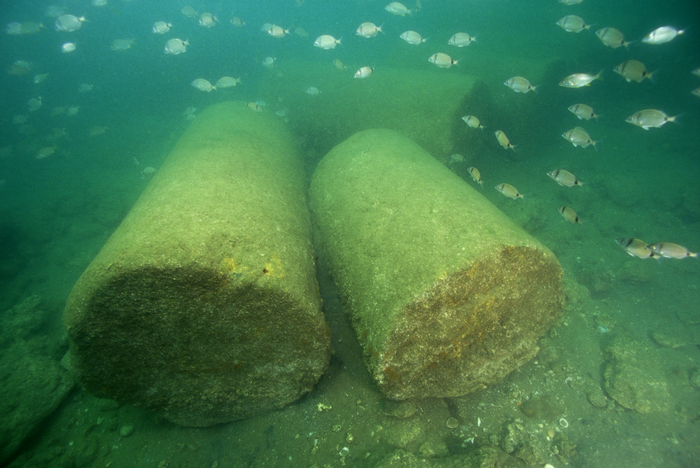 Canopus, a city that was once famous for its shrines and the opulent lifestyles of its inhabitants, was submerged at the same time, as was the town of Thonis-Heracleion, approximately 3 km to the east. Here, according to Christian writers, amidst the ruins of an enormous ancient temple a convent existed, which met the same watery fate as the other cities of the Canopic coast. 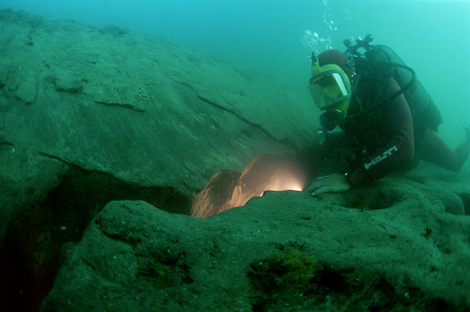 In the course of the underwater explorations no material from after the late 8th century AD was found.